Questions About The New Federal Rules Amendments on Discovery? – 1st of 5-Part Guide. ≈ Comments Off on Questions About The New Federal Rules Amendments on Discovery? – 1st of 5-Part Guide. If you do not fully comprehend the recent amendments to the Federal Rules of Civil Procedure, you are not alone. We will learn more as district and circuit courts rule on cases affected by these amendments. The current amended Federal Rules of Civil Procedure—and, in particular, those that address the practice of civil discovery—are the product of five years of development, debate, and, of course, dialogue. Now that the Rules are set to be implemented on December 1, 2015 – and they apply to pending cases where ‘just and practicable’ — the focus among attorneys and their clients has changed from what the Rules should say to how they should work . . . .
A Special Treat For Civil Procedure Geeks. ≈ Comments Off on A Special Treat For Civil Procedure Geeks. In this short article, David Noll explains procedural terms with which students often are unfamiliar. These terms predate the Federal Rules of Civil Procedure, which most Civil Procedure classes seem to pass over. These terms, like ‘demurrer’ and ‘nonsuit,’ may pop up not only in old court cases that students may study, but also in state court procedural rules. . . . Drafting The Order When You Win Your Motion? Beware Judicial Plagiarism! ≈ Comments Off on Drafting The Order When You Win Your Motion? Beware Judicial Plagiarism! Have you ever argued a motion and had the court rule directly from the bench awarding you your requested relief? Didn’t you feel like the cool kid that day? Chest puffed out a little bit while you tried to restrain yourself out of respect for opposing counsel? And after winning your motion, did the court dump the task of drafting the order on you? Of course it did. No court has time to actually draft orders, right? That’s the least you could do after the court was gracious enough to rule in your favor. And even though it was another tick to your to-do list, you secretly welcomed that chore, because it meant you got to tweak the wording of the order precisely to your client’s advantage. Am I off here? No. You know this drill. Well, hold your horses, cowboy. A recent case from Tennessee illustrates the possible dangers that may lie ahead up in them there hills. . . .
Why Circuit Courts Reassign Cases To Different District Judges On Remand. ≈ Comments Off on Why Circuit Courts Reassign Cases To Different District Judges On Remand. The district court rendered summary judgment in defendants’ favor. On appeal, the Fifth Circuit reversed, holding that the district court applied the wrong legal standard. The Fifth Circuit remanded with instructions for the district court to apply the correct legal standard. A year later, the district court again rendered summary judgment in defendants’ favor, apparently applying the same legal standard that the Fifth Circuit had rejected. The Fifth Circuit concluded that, in rendering this judgment, the district court disregarded the Fifth Circuit’s instructions on remand. Starting at page 25, the decision includes a survey of case law enunciating various standards applied by circuit courts in deciding whether to reassign a case to a different judge on remand. So this decision is worth tucking away for future reference in case you ever find yourself in need of similar relief. 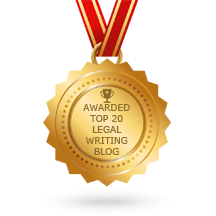 Two 2014 Pivotal Supreme Court Cases on Personal Jurisdiction And Their Lasting Impact on Civil Litigation. 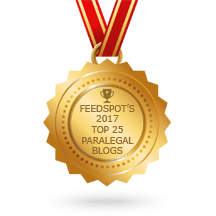 ≈ Comments Off on Two 2014 Pivotal Supreme Court Cases on Personal Jurisdiction And Their Lasting Impact on Civil Litigation. Charles “Rocky” Rhodes (South Texas College of Law) and Cassandra Burke Robertson (Case Western) have posted Toward a New Equilibrium in Personal Jurisdiction to SSRN. In early 2014, the Supreme Court decided two new personal jurisdiction cases that will have a deep and wide-ranging impact on civil litigation in the coming decades: Daimler AG v. Bauman, 134 S. Ct. 746 (2014), and Walden v. Fiore, 134 S. Ct. 1115 (2014). Bauman eliminates the traditional “continuous and systematic” contacts test for general jurisdiction, and Walden significantly retracts the ability of courts to exercise personal jurisdiction over out-of-state defendants whose actions have in-state effects. Taken together, both cases will make it significantly more difficult for plaintiffs to exercise control over where lawsuits are filed. In some cases — such as large-scale class actions — the new decisions may make it impossible to identify a single forum where multiple defendants can be sued together, and will therefore shift the balance of litigation power from plaintiffs to defendants. This Article examines the effect that these decisions will have on future litigation and suggests solutions to the problems that will arise in the wake of these decisions. It analyzes how the Court’s new jurisprudence has shifted the balance of power in the jurisdictional framework, and it explores areas of future litigation. . . .